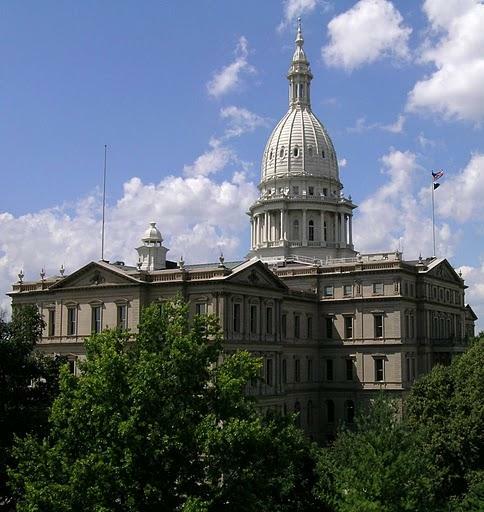 The Michigan Supreme Court will weigh in on how Republicans in the Legislature dealt with a voter-initiated measure to increase the state minimum wage. GOP leaders also asked the Supreme Court to issue an opinion on the new law that requires employers to offer workers paid sick leave. The minimum wage and paid sick leave measures were headed to the ballot last November. But Republicans in the Legislature adopted the laws first and then changed them after Election Day, before adjourning for the year. The new laws were more employer-friendly than the original versions. Democrats say the GOP actions circumvented the will of the voters. Republicans in the Legislature are hoping to avert a legal challenge by asking the Republican-majority Supreme Court to give its approval to the adopt-and-amend approach. It’s only an advisory opinion, but that opinion could give a pretty strong indication of how the justices would rule. Michigan Attorney General Dana Nessel, a Democrat, has also been asked to give a legal opinion. Michiganders who are paid minimum wage will be getting a raise Friday. After many hurdles and changes, the state’s new minimum wage law is being put into effect. The law originally started as a ballot initiative, although it looks very different from when it was adopted by the state Legislature in September 2018. The state's new minimum wage and earned sick time laws take effect today. But there’s lingering controversy about how the measures made it into law. Lawmakers adopted the ballot questions before they could go to voters – and then made significant changes before sending them to then-governor Rick Snyder for his signature. Democratic lawmakers are trying to once again make the state’s minimum wage $12 an hour by 2022. Last year, there was a ballot measure to increase the minimum wage to $12 an hour. The Legislature passed the measure without it going to the voters, and then quickly made major changes. Now, the minimum wage won’t get to $12 an hour until 2030.